When Academy award-nominated New Zealand director Peter Jackson needed an expert to teach the cast of The Lord of the Rings how to pronounce all the words of the Elven languages there was only one man who could help: Dr. Thomas Shippey, well-known scholar, philologist and the world's foremost Tolkien expert. Professor Thomas Shippey is uniquely qualified to opine on all things Tolkien: he taught at Oxford University at the same time as J.R.R. Tolkien, and later taught with the same syllabus, which gives him an intimate familiarity with the works that fueled Tolkien's imagination. He subsequently held the chair of English language and medieval literature at Leeds University that Tolkien had previously held. He currently holds the Walter J. Ong Chair of Humanities at St. Louis University in Missouri. Dr. Shippey is the author and editor of numerous books, including The Road to Middle-Earth (Houghton Mifflin), The Oxford Book of Fantasy Stories (Oxford University Press), The Oxford Book of Science Fiction Stories (Oxford University Press), Studies in Medievalism XI : Appropriating the Middle Ages : Scholarship, Politics, Fraud (Studies in Medievalism 11), and Fiction 2000: Cyberpunk and the Future of Narrative (University of Georgia Press). In numerous reader polls, The Lord of the Rings has been consistently voted as the greatest book written in the 20th century. However, with some notable exceptions, many highbrow critics have dismissed Tolkien and the entire fantasy genre as escapist fare. Dr. Shippey argues that the so-called literati who have dismissed Tolkien and his works are at best misguided, and at worst have ulterior motives for attempting to dismiss an author who has become a cultural phenomenon. Dr. Shippey's latest book is, appropriately named, J.R.R. Tolkien: Author of the Century (Houghton Mifflin). The book has been acclaimed by both critics and Tolkien fans. 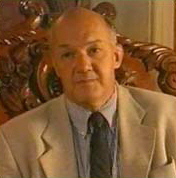 In 2001, Shippey was awarded a World Fantasy Award in the category of "Special Award, Professional" for the book. He also received the "Scholarship Award in Inkling Studies" awarded to him by the Mythopoeic Society, which is dedicated to the promotion of fantasy as literature. A fascinating and accessible critical study, J.R.R. Tolkien: Author of the Century explores Tolkien's influences and methods when he was writing The Lord of the Rings, The Hobbit and The Silmarillion, as well as his lesser-known works, such as Farmer Giles of Ham and The Adventures of Tom Bombadil. Professor Shippey explores the themes of religion (although a devout Catholic, Tolkien does not directly mention religion in The Lord of the Rings), war, redemption, feminism and the nature of evil. Publisher's Weekly calls Author of the Century, "a wonderfully readable study aimed at not just the Tolkien fan but any literate person curious about this fantasy author's extraordinary popularity." Professor Shippey spoke to us about the challenges of bringing Tolkien's languages to the big screen, and why he believes that Tolkien is the 20th century's most underrated author. He also discusses the film version of The Lord of the Rings, and shares some great advice for writers contemplating a career in academia. I read pretty well anything I could lay my hands on, but an early decision was to subscribe to Astounding Science Fiction. This soaked up most of my spare cash as a young teen, from early 1958. How did you get interested in an academic career? Actually, I started working for Colgate-Palmolive on graduation, but we then headed briskly into a recession, in which there were few job openings except for those provided by the state. Universities in the UK expanded at prodigious rates in the mid-1960s. What is it about philology and the study of languages that you find so fascinating? The link between language, literature, and (pre)history. Philology opens up visions of the past, and insights into human nature, which were quite unknown to the ancient, medieval, or Renaissance world. Along with anthropology and archaeology, it is one of the great modern soft-science breakthroughs (though universities prefer to support more dubious ventures like psychology and sociology). Someone lent me a copy of The Hobbit when I was, I guess, about 14 -- pretty much the same time I started reading Astounding Science Fiction. Seeing a new idea arrive in a student's mind. You can feel the click. I'd like to talk about your latest book, J.R. R. Tolkien: Author of the Century. What prompted you to write the book? I started writing about Tolkien a long time ago out of two motives -- piety, and annoyance. By piety I mean "respect for one's ancestors". Tolkien was one of my intellectual ancestors, and in what I saw as a line of professional development now all but forgotten, and I thought that wasn't right. This view was reinforced by annoyance, both over his many detractors, who weren't giving him a fair trial, and over many of his supporters, who weren't really supporting him, but using him to promote their own agenda, whatever that was (Jungian psychology, radical politics, the Tao of Tolkien, whatever). I knew this latter would have annoyed him, and I thought someone ought to speak up for him in a way that he would have approved. As for the recent book, it started when I came to realize that while Tolkien could be seen historically, in a line of philologists going back to people like Jacob Grimm, he could also be seen as a contemporary 20th century author, comparable with Orwell, Vonnegut, LeGuin, Golding, T.H. White etc. -- the group I identify as "traumatized authors". Do you consider the work to be a biography? It's not intended as a biography, but since Humphrey Carpenter's authorized biography came out in 1977 we have learned a great deal about the way Tolkien worked and wrote, with the publication of many volumes of his early drafts and works not published in his lifetime. I try to take this into account, and I also see some of his minor works as being in effect autobiographies: I call them "autobiographical allegories". What do these minor works reveal about Tolkien the man? "The academic life has become far more bureaucratic, and is increasingly dominated by people with the habits of bureaucrats. .... Good teaching is not measured by the number of degrees you turn out, or even how highly the students rate you at the time." They bring out his inner anxieties. One should remember that Tolkien did not get his major work into print until he was 62, and that for most of his working life the chances were that he was going to remain forever unpublished. He sometimes imagines his own work surviving into the future as a single manuscript, never read by anybody, with the name of the author lost -- exactly like the poem Beowulf, in fact. Of course his work has now sold hundreds of millions of copies, and is set to do the same again in the next generation, and Beowulf in the end has had more books and articles written about it than Hamlet. That's ironic, but not all ironies have to be negative ones. Recent polls in both the U.K. and the U.S., show that Tolkien is regarded as one of the greatest writers of the 20th century, and that The Lord of the Rings is the best book of that century. These findings apparently appalled certain members of the literati -- even those who had not even read The Lord of the Rings, as you point out in your book. What is the reason for the deep-seated animosity that certain critics have had for Tolkien? Some of the criticism seems so vitriolic, so over the top, that it makes one wonder what it is that so upsets them. Their all but hysterical reaction must be caused, I think, by feelings of threat, or challenge. Tolkien's success challenges their authority as the definers of literature. It also challenges their belief, central to their self-image, that they represent the wave of the future -- that they are the "modernists". But the modern world has stubbornly refused to go the way it was expected to by the likes of Edmund Wilson, or Philip Toynbee (upper-class left-wing soft Marxists, you might say). It also increasingly takes no notice of the activities of professional critics. People who feel their grip on power/authority slipping are liable to overreact, as in this case. Two things I'd pick out are the poetry, and the sense of shape. There are a lot of poems in The Lord of the Rings, in many different styles and formats, and not many other fantasy writers have the confidence or the literary background to go inventing whole new poetic traditions (or re-inventing old ones). But this gives Tolkien's work a mythic and imaginative dimension which has never been duplicated. As for the shape, The Lord of the Rings is very tightly controlled, with multiple plots integrated by a day-to-day chronology, which you really need to follow. What it does is make each of the characters feel lonely and isolated, while in the broader view you can see that everyone's story is a part of everyone else's: much more like reality than the plot of a conventional novel. It works laterally as well as linearly. I'd like to talk a bit about the prelude to The Lord of the Rings: The Hobbit. The Hobbit is certainly lighter in tone, with more humor. What kind of sense of humor did Professor Tolkien have? What made him laugh? Tolkien had a strong sense of verbal humor, as you can see in The Hobbit (Gollum, the trolls, the goblin-songs etc). And songs like Sam's in The Lord of the Rings. One of the major themes in The Lord of the Rings is the nature of evil. In your book, you discuss the two views of evil reflected in The Lord of the Rings: the Boethian view that there is no such thing as evil, that evil is simply the absence of good; and the alternative view that evil is very real, exists and must be opposed and fought at all costs. Based on your research and your reading of The Lord of the Rings, which view do you think Tolkien held on the subject of evil? Do you think he ever settled it in his own mind? I think Tolkien eventually decided that both views were true, and must be seen as continually interacting. So there are limits on the power of evil -- but they may well be limits beyond our view. And evil may all lead to future good -- but again, that is almost certain to be beyond our vision. Maybe I could say that he believed Boethius, but not here in Middle-earth. Although some critics have alleged that The Lord of the Rings relegates women to the background, I have always seen Tolkien as being rather advanced for his time in his depiction of women. Eowyn, the lady of Rohan who sneaks off to be a warrior certainly is no shrinking violet. As for Galadriel: although her scenes are not lengthy in comparison with say, Gandalf's, her presence lingers for many chapters after the characters have left Lorièn. What is your opinion on this subject: how did Professor Tolkien feel about Galadriel? About Eowyn? I can only point to the scene in "The Houses of Healing," where there is a careful and sensitive account of what it must have been like for Eowyn, not only trapped at home while the men rode off to war, but trapped with Wormtongue, and watching her uncle fall under his spell. This is a striking and early sensitivity to the theme of female passivity, which people often miss. Although Tolkien himself was a devout Catholic, religion is not overtly mentioned in The Lord of the Rings. And you refer in your book to a letter which Tolkien declared that "The Lord of the Rings is of course a fundamentally religious and Catholic work…." What do you think Tolkien was referring to in this statement? Certainly religious and ethical themes are considered in the work, but there is no traditional religion depicted anywhere in the book at all, and I thought that Tolkien himself admitted this. Could you shed some light on this for us? "One should remember that Tolkien did not get his major work into print until he was 62, and that for most of his working life the chances were that he was going to remain forever unpublished. He sometimes imagines his own work surviving into the future as a single manuscript, never read by anybody, with the name of the author lost." I discuss this in my book, but I can only say that there is almost no allusion to Christianity anywhere in The Lord of the Rings, and nearly everyone misses what there is (dates, as much as anything). Tolkien perhaps covered himself by feeling that Middle-earth demonstrates the need for Christianity. Without it the whole of history will only be "the long defeat," as Elrond calls it. I'd like to talk about the recent release of The Lord of the Rings as a feature film directed by Peter Jackson. I understand you assisted the film makers in the pronunciation of character and place names from the book. What challenges did they face with the language from the book? Spelling is not a good guide to pronunciation in The Lord of the Rings, because Tolkien used different conventions for different languages. So, the -ai- in names/words like Thain, Gwaihir, Dain, is different every time. Also, the stressing of the elvish languages is not what it would be in English -- DaGORlad, not DAGorlad, etc. This all had to be worked through. Some diehard fans were upset by the deviations from the book's plot (e.g., Arwen's increased role, the deletion of the Tom Bombadil scenes etc. ), while others felt that the plot changes were necessary, and that Jackson did keep to the spirit of the book. What is your opinion of the finished film, as far as plot, special effects, dialogue and mood/tone? "The Fellowship of the Ring is well over 200,000 words long, and would take getting on for forty hours to read out loud. Pictures may be quicker than words, though often they aren't, but cutting forty hours to three cannot be done without loss. Tolkien himself, well aware of the fact, indicated that he much preferred "abridgement" to "compression". Cutting out subplots and travel sequences was much better than trying to do everything at breakneck pace, a process which would tend, especially later on in the story, to throw undue stress on the battles and the sieges, while all the time, as the entire plot makes clear, these are really subordinate in importance to the silent and stealthy approach of Frodo and Sam and Gollum to Mordor and the Cracks of Doom." brilliant stroke to recreate Wilderland in New Zealand with its moors, mountains, forests, empty rivers. His special effects are state of the art, aimed to outgo Star Wars. His actors put across their lines, archaic though they often are, with total and persuasive conviction. And he can do slow scenes, and silent scenes, with just as much of a grip on his audience as the cataclysmic ones. As the Fellowship went through Moria you could have heard a pin drop in the theatre, if anyone had dropped one, but there was never a rustle of paper: jaws ceased to move." Fantasy is making a big comeback, with the release of both The Lord of the Rings and the Harry Potter films. What is the appeal of high fantasy to the modern reader? I really don't know why fantasy has made such a comeback. What effect has Tolkien had on modern fantasy? nearly so. I discuss other fantasy traditions in my Oxford Book of Fantasy Stories, but the shelves in modern bookstores would look very different if Tolkien had not written, or if Stanley Unwin had decided not to publish him after all, back in the early 1950s. The eagerness with which he was followed suggests that there was a suppressed desire for the kind of thing he did, but nobody before him quite knew how to do it, or thought it was allowed. C.S. Lewis said Tolkien was as hard to influence as a bandersnatch, and only somebody like that could have broken with literary convention and established wisdom in the way that he did. Have you read the Harry Potter books by J.K. Rowling? If so, what did you think of them? What Tolkien-esque themes (if any) do you see in Ms. Rowling's work? Rowling really isn't very Tolkienesque at all, as far as I can see. However, she might not have got the opportunity if it had not been for the creation of the fantasy market by Tolkien and his many successors. There was fantasy before Tolkien, see my Oxford Book of Fantasy Stories, but he made it mass-market. I'd like to talk a bit about the actual process of writing. When you start a new book, how do you approach it? Do you have a special system for research and organization? How has the Internet affected your life as a teacher? As an author? The Internet has had very little effect on me, except for shopping. It's hard to sort out the information from the misinformation. How has the academic life changed over the years from when you first entered it? What advice do you have for writers who are hoping to make a career in academia? "I started writing about Tolkien a long time ago out of two motives -- piety, and annoyance. By piety I mean "respect for one's ancestors". Tolkien was one of my intellectual ancestors, and in what I saw as a line of professional development now all but forgotten, and I thought that wasn't right.... I thought someone ought to speak up for him in a way that he would have approved." The academic life has become far more bureaucratic, and is increasingly dominated by people with the habits of bureaucrats. You have to either do the bureaucratic stuff on autopilot, and try to keep some section of your brain free for thinking, or find a place where there are friendly bureaucrats to shield you. I'd say this. Managerial programs work best where there is a clear and quantifiable outcome and an easy way of checking what the work-force is doing. Neither of these apply to teaching, or research. Really productive researchers are often staring at the wall, or going for walks -- and their product tends to turn up ten years later. Good teaching is not measured by the number of degrees you turn out, or even how highly the students rate you at the time. But unsophisticated management systems (and those are the ones we have) insist on counting something. "Them as counts counts more than them as doesn't count," as it says in Russell Hoban's Riddley Walker. Have fun? I used to play rugby. Then it dwindled to soccer, as my injuries accumulated. Maybe I will be down to golf, in the end.